Somewhere deep in his Letters, Wallace Stevens admits that he never liked Christmas much because the holiday never lives up to advance billing. Being of a similar mind, I’m glad the man is not alive to see that Samsung commercial where this minor actor named Dax Shepard (yes, sentient human parents named him Dax) and his pregnant wife decorate their awful Silver Lake hill cube. (Google it if you want to rot inside a little.) And for a variety of boring reasons I’m not drinking this go-round, which makes the season even more tedious, so to stave off boredom-induced madness, I’ve scrawled some things on the digital wall . Get out your knife and fork and dig in. Eliza Griswold is a wonderful young American poet. Like most poets, her readership is appallingly limited. This is her page at the Poetry (magazine) Foundation. You can buy her debut volume, Wideawake Field, here. Turns out Twitter isn’t just for beefing about sports and harassing female journalists. Some writers have started experimenting with it as a platform for bursts that are worth reading closely, and right now the best Twitter scrivener going is Jeet Heer (@HeerJeet). 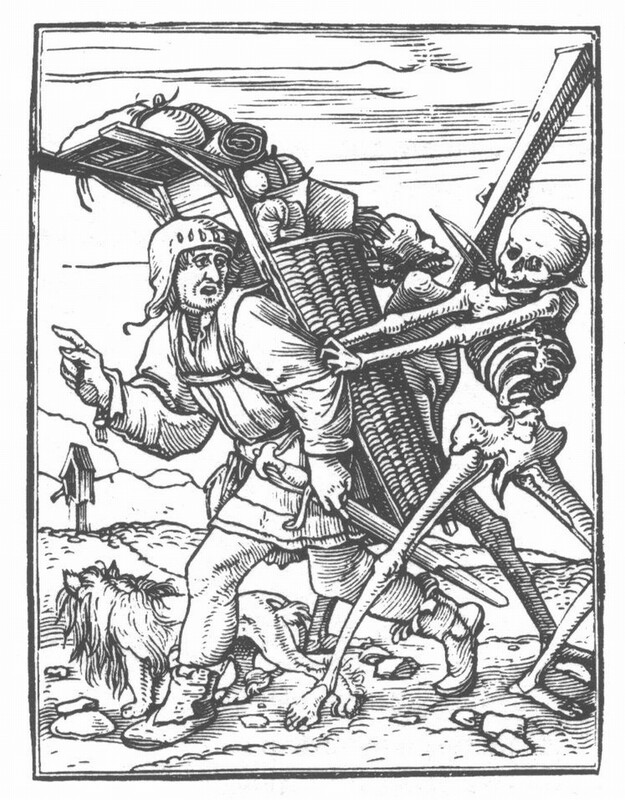 Here is a link to his aptly titled “A Twitter Essay about Twitter Essays.” Writes Heer: “These are essays in the classical French sense of the word: essaying a topic: an attempt, a provisional thought, a notebook entry.” Imagine if Montaigne had an iPhone! Denis Johnson has a new book out. Set in post-9/11 Africa, it is called The Laughing Monsters. Just ordered my copy. It will be very good. Do you know how I know that? Because Denis Johnson wrote it. Paul Thomas Anderson has turned Thomas Pynchon’s novel Inherent Vice into what looks like a pretty good movie. But you should still read the book. It’s not Gravity’s Rainbow–it won’t kill you, unlike GR, which is much duller than its fame suggests. Want to read a huge Pynchon? Pick up Mason & Dixon. Oh hey, David Lynch is rebooting Twin Peaks. Guess who has two thumbs and doesn’t care? *raises and tilts both thumbs* This guy! The show was leaden and lethargic the first time, but I had to pretend to like it during college and grad school, because all my friends said they adored it. Spoiler alert: Audrey died of meta-boredom. After putting off Graham Greene’s The Power and the Glory (1940) for years, I’m finally thigh-deep in its cold currents. Theory as to at least part of Greene’s genius: no novelist is better–though a few are just as good–at subtly using his characters’ psychological states to form the epistemological tenor of the narrative universe, without employing first-person narration or hammy metaphors. For stretches of his best books, a mind shades a world that is still far more than that single mind. This is not Ruskin’s pathetic fallacy: the encompassing world remains ontologically other, it is just that we access it through such masterful filtrations. In other words, Greene takes free indirect style to the VIP level. Before Tinder and OK Cupid and the less libidinous social-media platforms arose to try and distract us from our natural state of crawling loneliness, some mad souls kept the lights on by writing stuff like Notes from Underground (Dostoevsky’s idealist jilted and horrified by the impossibility of perfecting mankind) and In Memoriam A.H.H., Lord Tennyson’s at-times-unbearable cry of anguish over the early death of his best friend. 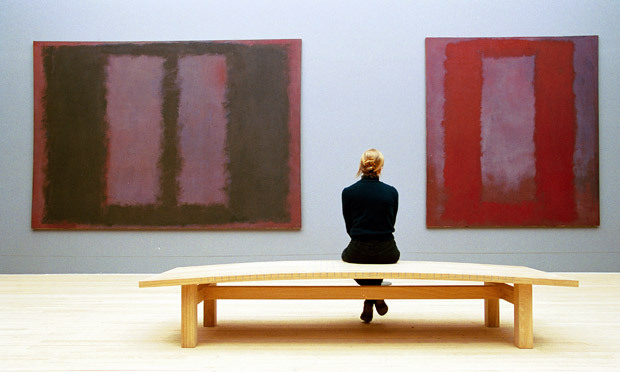 While some associate professors might disagree regarding the latter, neither text is sexual or romantic; both speak to and from within the marrow-grade loneliness one feels when sitting in front of a Mark Rothko painting or listening to Astral Weeks. If you can get through In Memoriam without weeping a couple times, get thee to a doctor. You’ll weep for the sins–the ongoing sins–of America if you read “The Case for Reparations,” the 2014 essay that announced Ta-Nehisi Coates as one of the language’s great young essayists. Erudite, methodical, heart-stopping. Check out my former colleague Robert Samuels’s eminently readable Why Public Higher Education Should Be Free (2013). Samuels’s core thesis is that instead of funneling billions into colleges and universities via federal loans, grants, and byzantine tax breaks which individual students then use to pay tuition, the money could be given directly to schools, who would in turn offer tuition-free education. Sounds bracingly simple, right? But then creditors, including the federal government, would lose that deep, swift stream of interest payments on all those loans, loans that, unlike every other form of consumer debt, cannot be refinanced or discharged in bankruptcy. (My own from graduate school are locked in at 6.8 percent, more than double the prime rate as reported by the Wall Street Journal.) If you die, your next of kin are on the hook for the balance. And that’s why Samuels’s book, smart and humane as it is, will never affect education policy in the current American political economy. The Washington Post’s Radley Balko has the best journalist name, and his book Rise of the Warrior Cop will scare the bejesus out of you. It is a chilling chronicle of the United States’ ongoing decline into a threadbare security state where carbines, tear gas, and razor wire protect the ruling ten percent from the rest of us when we aren’t busy fighting over Black Friday sales. May the new year leave you in peace, dear general readers. No rambling original ruminations on literature tonight, only some great links with competent commentary. Stay safe this weekend. Read too much. Historian Jill Lepore once again graces The New Yorker. This time she writes about Roger Ailes (Fox News’ begetter), William Randolph Hearst (the early-twentieth-century jingoist publishing magnate), and American tastes in news. The piece will introduce you to the fantastically named Cora Baggerly Older (Hearst’s official biographer) and her husband Fremont Older. Fremont Older! Do hubcaps serve a purpose? No, they do not. So does my beloved forest-green 1995 Camry need to stop flowing with the mysterious black wheels? No, it does not. Thanks as always, Car Talk, for the clarity: you should have won some Pulitzers. Pacific Standard on the continuing water horror in West Virginia. Turns out that allowing your state regulatory infrastructure to decay is a very bad idea. Read about this right now if you haven’t already done so. America gets her coal from often-incompetent companies that poison Appalachia, one of America’s treasures, and too many Appalachians, especially rich dumbasses with ties to those companies, keep helping. I grew up in a VA/West VA border town called Covington, deep in enormous tracts of National Forest land, and I knew some ghastly water there. The town sits on the Jackson River, which feeds Virginia’s freshwater mainline, the James River; and the Westvaco (now MeadWestvaco) paper mill sits on Covington. As the Commonwealth of Virginia officially puts it, “There is a two mile segment, from the water treatment plant in Covington to City Park in Covington[,] that is legally navigable, but is not recommended for recreation due to heavy industry.” When I lived there in the 1990s, the mill—most people just called it “the mill”—was Covington’s biggest employer, even though it was (and still is) shrinking its workforce, thanks to progressive automation and the willingness of other nations to host paper-pulp facilities that produce incredible amounts of toxic waste. The size of the plant is staggering: as a teenager I would drive up the wide street on the bluffs across from its holding ponds and light towers, and pretend I was sneaking past the Death Star. Above Covington is some of the sweetest fly fishing in the eastern United States. Below the mill, the oily river smells like frog guts. Maybe things have gotten better since I left for college. But probably not, given Virginia’s light-regulation ethos and the fact that the Bush administration had a decade to hollow out the EPA. Please leave a comment if you have some news. Just look at this Miller Lite TV spot from the mid-1990s. In case you miss the subtitle at the beginning, that silver-haired gentleman is Kenny “The Snake” Stabler, a satyr (according to Wikipedia he “was known for studying his playbook by the light of a nightclub jukebox and for his affinity for female fans”) who quarterbacked the Raiders to a Super Bowl win in 1977, and the guy in the comfy shirt is Dan Fouts, the most successful bearded quarterback in NFL history. (He wasn’t all that successful.) A suburban eatery? Bottled swill? Well-compensated passive-aggressive male companionship? Off-camera lady voice? Floppy shirt collars? This one has it all. Amy Clampitt is a solid poet. Not enough people read her work. Here is a link to one of her poems, “Vacant Lot With Pokeweed.” Go there. It is brief and will make your weekend better, I promise. Stressed out by our posts on the sea of troubles in which American higher education is flailing? Relax. That’s one of the main things gardens have been for since there have been gardens (besides the whole growing-food aspect). ● Although binge-spending on campus amenities is problematic in a lot of infuriating and scary ways, it does mean that many American schools (at least those that end up on the dumb ranking lists barfed out by Forbes and US News and other magazines every year) have remained passable facsimiles of Arcardia. Yes, I’m being aesthetically charitable, but schools with competitive admission profiles spend major funds on landscaping for a reason: an environment distinguished by transplanted ornamental trees, machine-shorn lawns, stone fountains, ivy wired to buildings, and other postmodern-bucolic stuff is meant to evoke the repose necessary for deep thought and complex scholarship. That’s why Plato taught in an olive grove. Also, it entices prospective students with all sorts of green nooks for smoking weed in. ● Read all about the above, and more, in Robert Pogue Harrison’s magisterial Gardens: An Essay on the Human Condition. It’s actually more of a book than an essay. If the untamed side of things is more your style, he also wrote a book called Forests: The Shadow of Civilization. It is also good. ● Maybe grab a couple other garden tomes? None of us read enough anyway. These would be the Oxford Companion to the Garden (wonderful even though the British origin makes you put up with lots of colour and vigour and missing commas) and Michael Pollan’s Second Nature: A Gardener’s Education. Contra the ad pitch on Pollan’s website, it is not “a modern Walden,” because it doesn’t have any boring stretches where you want to die or go read Emerson instead. Built upon an autobiographical foundation (there is great stuff about lawn care on suburban Long Island after World War II), the text is ultimately a hybrid of cultural history, botanical inquiry (the stuff about weeds is rhapsodic and sensible at the same time), gardening advice, and ethical meditation. Pollan’s central claim is that gardening, unlike (say) American wilderness worship or a vague feeling for the poor Amazon, reminds us, over and over, that human experience takes place within a life-world that we must simultaneously exploit, care for, and love deeply. ● Staying with the literary angle, refresh yourself with Andrew Marvell’s “The Garden.” Over the years critics have gone at it with all kinds of ideological crowbars, but you shouldn’t forget Philip Larkin’s remark that the poem might be best understood as “a good description of the mind of someone half-asleep under the summer trees in a garden” (“The Changing Face of Andrew Marvell,” collected in his Required Writing). ● Rich people usually have nice land around their homes. Often that land bears complicated gardens. And if rich people go broke and then go crazy, they sometimes do it in high style, as Grey Gardens reminds us. I’ve seen this documentary three or four times, and it never ceases to be demonically compelling. Don’t call it a “cult classic.” It’s just a classic. Man, WASPs have some weird genes. ● Merely eccentric wealthy people tend to be a lot more functional, and one of them, Madame Ganna Walska, left behind the coolest, most variegated, enchanting garden I have ever been to, Lotusland in Montecito, California. If you are ever in the Santa Barbara area and have a few hours, go. It is absolutely worth the steep admission fee ($35). They sometimes do free-tour days, but those are tough to get. ● I have a little kitchen garden, and bugs and weeds get in it all the time, which MAKES ME SO ANGRY. These people can help: the University of California Integrated Pest Management Program. Caution: this site’s mesmerizing level of visual and written detail, along with its intense dedication to helping you do the practical stuff that keeps a garden functional, will take up lots of your free time, if you garden. ● Aesthetics aside, we also need more working gardens in urban neighborhoods that lack decent grocery stores. Gardens are nice to walk through and look at, but they can also help bring down America’s catastrophic rates of obesity and diabetes, scourges that are concentrated in the places where poor people live. From the LA Times, here is a touching story about how kids in a scruffy part of Los Angeles are maintaining local garden clubs. 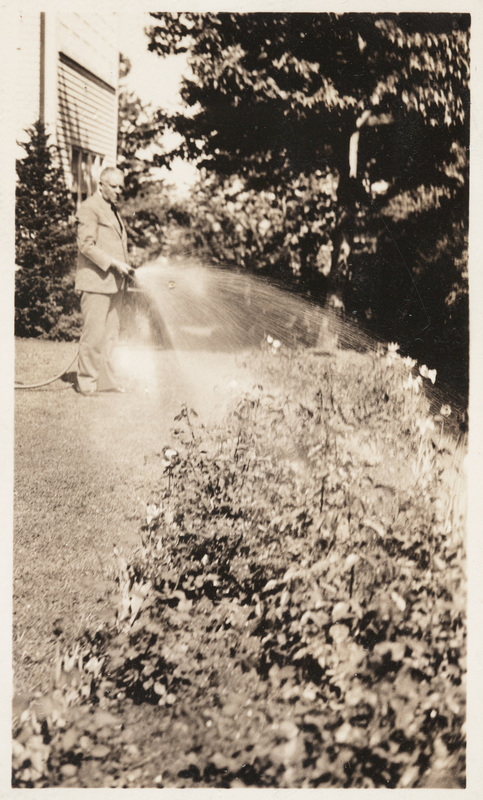 ● Here is a snapshot of Wallace Stevens watering his rose garden in West Hartford, Connecticut sometime in the 1930s. Note that he is wearing a suit. The image is housed in the archives of The Huntington Library in Pasadena, which also happens to maintain some astonishing gardens; the photographer is unknown. ● And here is that scene from Disney’s version of Alice in Wonderland that has inspired thousands of budding artists and similar weirdos, and subtly terrified millions of children more.